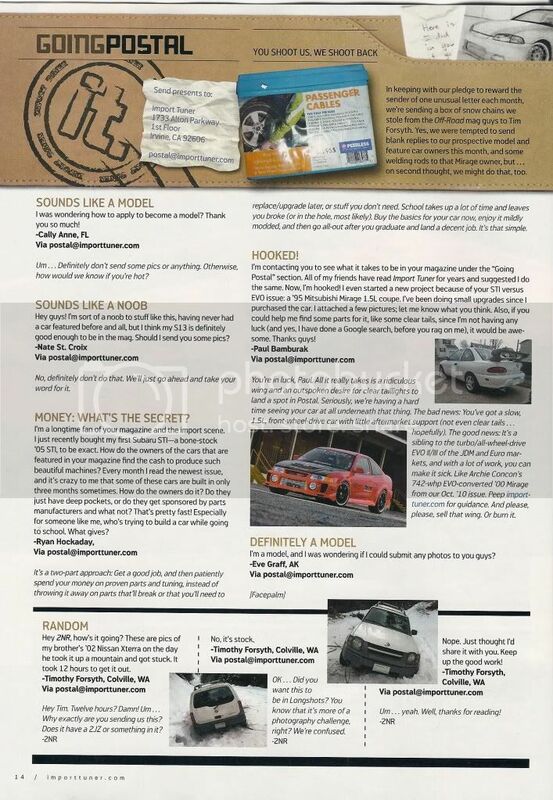 In Import Tuner Septmeber 2011 issue, pg. 014, there is a section called "Going Postal." Congratulations to LV Chapter Director, Archie Concon's 2000 Mitsubishi Mirage for being "SHOOT BACK". 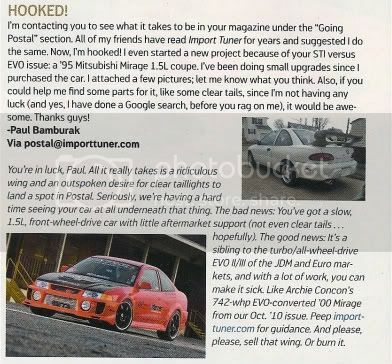 Import Tuner wrote, "The good news: It's a sibling to the turbo/all-wheel-drive EVO II/III of the JDM and Euro markets, and with a lot of work, you can make it sick. Like Archie Concon's 742-whp EVO-Converted '00 Mirage from our Oct. '10 issue."